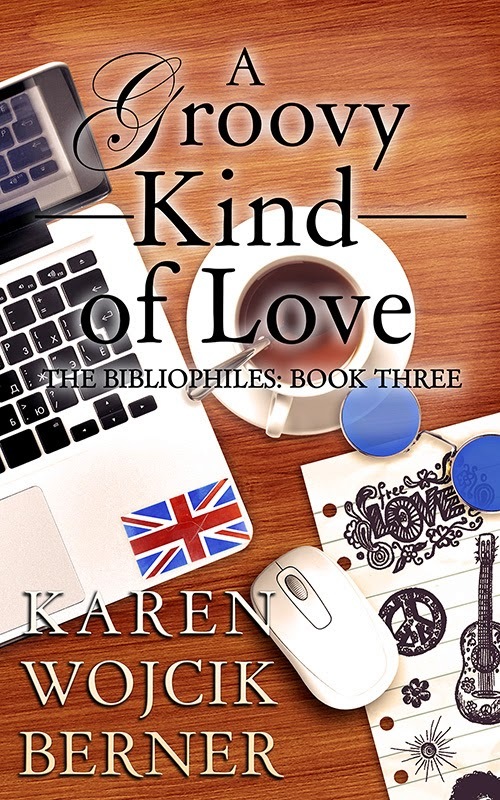 ”A Groovy Kind of Love” is the third and final installment of Karen Wojcik Berner’s Bibliophiles series. Written as stand-alone novels, each book focuses on one or two members of a fictional suburban classics book club, revealing their personal stories while the group explores tales spun by the masters. This edition contains a Reader's Guide and book club discussion questions. learning to the junior and received the rose to take out into the world. faculty, staff members, and even the chaplain. April and stirred his potion. noticing a black stain over the Cubs logo. “That’s what she said.” Phil howled and high-fived Joshua. “No worries. miscellaneous groups wandered in to share a drink and a hug. “Don’t think you’ll be the only one.” Spring glanced around the room. was enough to make anyone want to consume large quantities of alcohol. They both took long gulps. know it.” She leaned into him. She nodded, unable to speak. “Totally serious. Cross my heart. Swear to God.” He grabbed her hand.